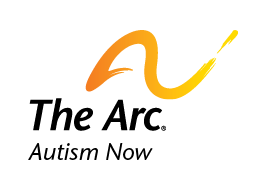 The Autism NOW Center and its collaborative partners created the center to be a dynamic and interactive, highly visible and effective central point of quality resources and information. Part of that means capturing the stories and experiences of people living with autism and other developmental disabilities every day – in their voice. We also value and welcome narratives from family members and professionals interested in sharing their lessons learned and visions for the future. Creating a post that fits into one of these categories ensures you a better chance of being published. Because of the volume of submissions, the Autism NOW Center cannot respond to every post received. If your post is selected for publication, you will be notified. Please note that any piece you submit must be free of product placement or promotion of a company and/or product. Also, because the Autism NOW Center is a federal resource and information center, it cannot publish material advocating for any position regarding elections and legislation. However, we will publish material teaching those with intellectual and developmental disabilities to become and/or be better self-advocates. We generally do not publish more than two pieces by any one person in a calendar year, to ensure a diversity of voices. All posts are subject to the approval of the Autism NOW Center and its Resource Criteria for inclusion on our blog. The Autism NOW Center reserves the right to edit accepted blogs as it sees fit and reject blogs that do not follow these guidelines. Unless otherwise agreed, all articles will be published under a Creative Commons-Attribution license; anybody may re-post your work, as long as they note and link back to the original. Deadline: Submissions are accepted on a rolling basis, and if review is needed by the Advisory Committee per Resource Criteria, posts will be submitted to the committee during the first week of each month. Length: Guest blogs should be between 200 – 1,200 words. Included images shouldn’t be wider than 700 pixels. Your submission to the Autism Now Center indicates to us that you have permission to use any image. Language and tone: We invite blogs that use informal or conversational language. Please spell out any abbreviations included in your blog. Submission: While we prefer that authors submit their own blog, authors may give permission to others to submit the blog on their behalf. In this situation, an Email noting that the author provided the permission should be clearly stated at this time. Please include: The author’s name, title, organization, if applicable (including link), contact information and a brief bio. If you prefer, you are welcome to remain anonymous, use a pen name or first name only. Payment: The Autism Now Center appreciates your voluntary contributions. We are unable to purchase any blogs. For additional information on blog content or to submit a blog contact Phuong Nguyen at [email protected]. Find similar content about: Community Life, Self Advocacy.